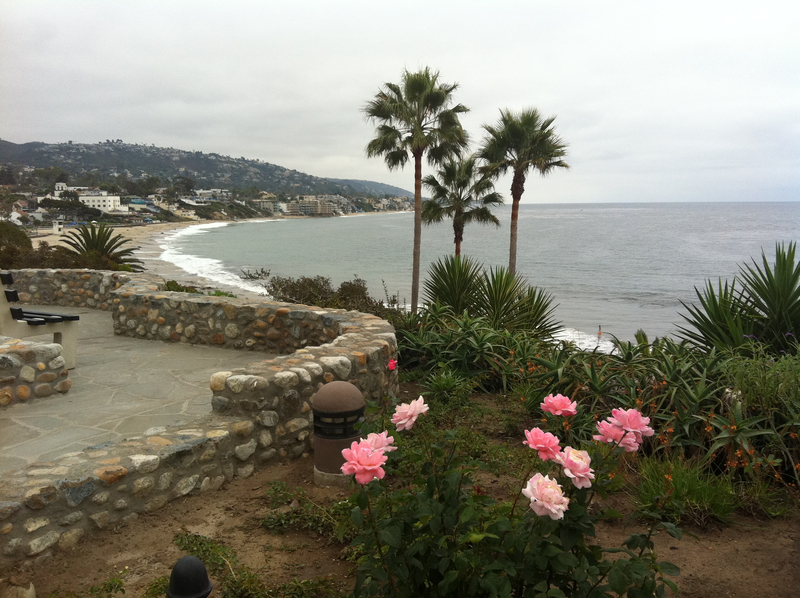 Laguna is easy to brag about. There are few places in the world that rival our village city. Start with the climate, add terrain that includes canyons and hillside vistas, secluded coves with white sand beaches, a pedestrian-friendly downtown, quaint shops, chic galleries, a plethora of gourmet restaurants, trendy taverns, an educated and civic-minded community and a lifestyle that celebrates healthy outdoor living. We never tire of pushing against ideas of what can or can’t be done. Sometimes we push against one another, and sometimes we work together. One of the best collective efforts was the Vision 2010 document. This was developed through hundreds of hours of community input, and one of the results was the establishment of the Environmental Committee, which replaced the Open Space Community. The Environmental Committee is tasked with providing guidance on water quality, marine safety, noise, air and light pollution, and open space. While the committee can make recommendations, it does not have the power to make policy; this authority rests with the City Council. These topics come to the forefront as I travel in foreign countries and am exposed to alternate ways of dealing with ongoing environmental issues. This purchase could be one of their multi-use bags, such as those found at our Ralphs, Trader Joe’s, Albertsons, etc., or a common, use-once and toss it, plastic bag. Faced with the choice of having to purchase something that will simply be thrown away, everyone opts for a multi-use bag, or supplies one that they have carried to the store. This struck me as a brilliant, non-legislative answer to an ongoing worldwide problem of litter and plastic. An in-flight magazine offered insight into sod roofing, which is now mandatory on newly constructed flat roofs in Copenhagen, Denmark. Roofs on any new construction that are 30% pitch or less must be green. Any retrofits may qualify for public financial support. Copenhagen’s impressive goal is to become the world’s first carbon-neutral capital by 2025. Closer to home, Malibu requires public buildings be sod-roofed, and in New York City, tax breaks are given to those who create planted roofs. Recently, homes in Laguna’s Design Review process have submitted plans with at least sections of their roofs laid out in sod. Some of the environmental values of green roofs, aside from their aesthetic, are that they absorb precipitation, providing a cooling and insulating effect on the building, reduce reflected light and urban heating. Standing on the edge of the Indian Ocean, I was struck by similarities in coastal coves and housing that drape the hillsides and focus on the sea. The currents are wilder, the coastline more rugged, but the beauty was an echo of my hometown. White sharks, however, are a larger problem than we face in Laguna. Offshore buoys line the coast with shark nets draped between them. Each morning a boat of shark spotters goes out to check the nets and helicopters do flyovers. Beaches are marked with surfing and swimming zones that correspond to the netted areas, giving new meaning to the term, lifeguarding. Seafood is a hot environmental concern, and the decline of wild fish cannot be ignored. Despite recent best efforts, the global catch of wild fish leveled off more than 20 years ago and 70% of the world’s fisheries are being harvested at capacity or are in decline. In a local South African restaurant, tuna was offered as a special. “Not blue?” I asked, and was assured that no, it was local. I wonder if we might not encourage Laguna eateries to adhere to the Monterey Bay Aquarium’s Seafood Watch. They publish a pocket guideline, as well as a iPhone/iPad application that lists provides a seafood search on what is good to eat and what should be avoided. It would be nice to not to see bluefin tuna on any restaurant menus. Bluebelt, Greenbelt and a lovely downtown. We are lucky here. Our worries can be channeled into productive life-supporting activities and increasing our sense of commitment to community, the environment and the full range of consequences of our actions.